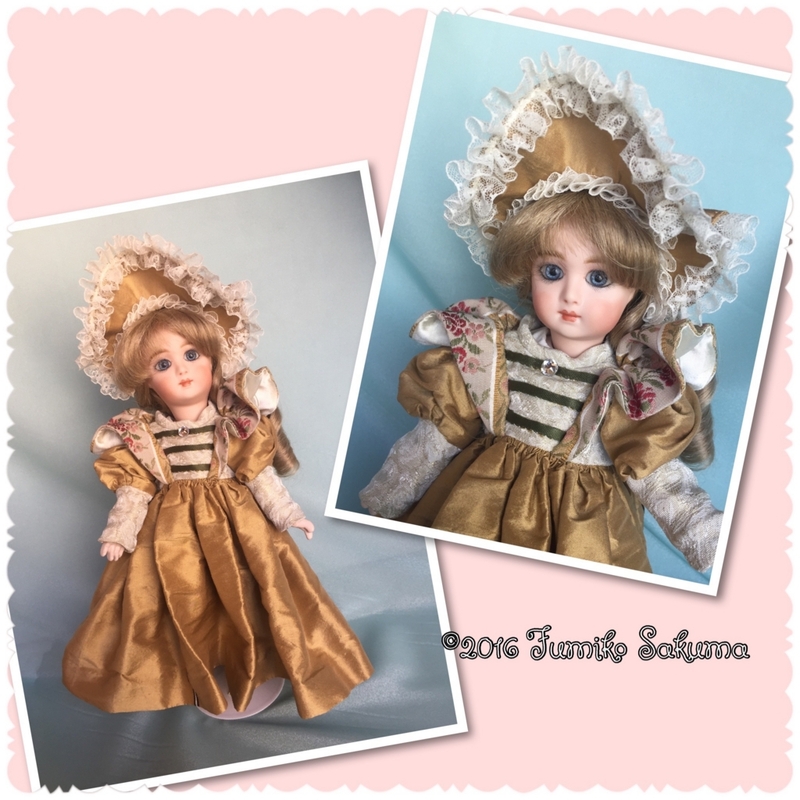 Today I will introduce French Jumeau's reproduction, which I really like. I have reproduced these from the early years that I started making bisque dolls, which means for over a period of approximately 30 years. This model made by Emile Jumeau was made around 1885 and is called "Long Face". I think this is a very cute model with big eyes. The color of the skin is very beautiful, and the surface finish is very natural and does not seem to be like porcelain at all. The body is made from Paper-marche, which includes slashed paper and plasters, and is molded. This body is very strong like plastic, but is made of ecological material. The clothes are made based on french children's clothes designs from around 1893 to 1895, and silk from U.K. has been used in making the clothes. 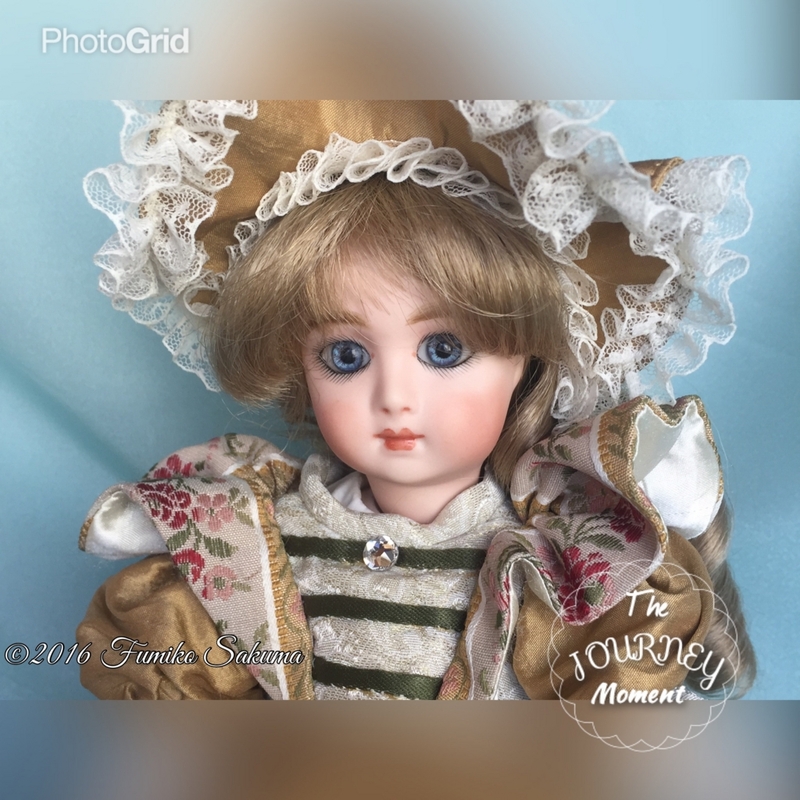 It is fun to think of the life at that time while making the dolls and clothes. The size is 25 cms which is easy to place in Japanese homes. The facial expression of the dolls change with light and the direction when viewing the dolls.